Roarrrr! 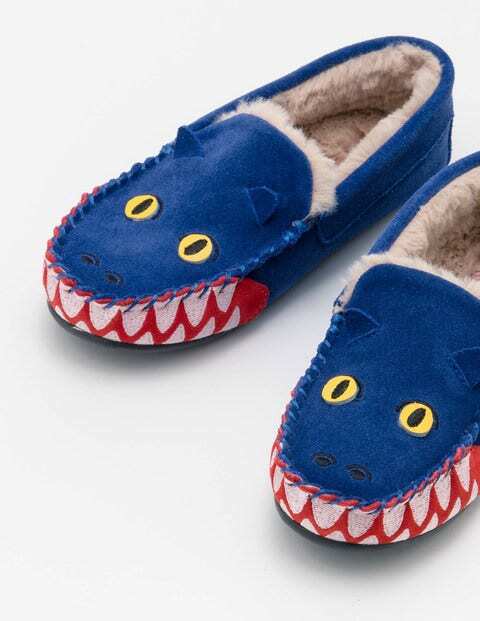 These dragon slippers have fire in their belly to keep tiny toes toasty. Crafted from soft suede, the moccasin shape stops them slipping off, while the snug faux fur lining ensures comfort all day long. Embroidery and appliqué details create a scary creature – perfect for letting imaginations running wild.